In the south of Italy, between coves and TRULLI watching Itrias Valley there is the Bed and Breakfast "il Viottolo". "il Viottolo" offers the opportunity to spend some day in a calm atmosphere discovering rural landscapes, small white villages in the center of Puglia, small country church, tasting genuine typical foods, to observe closer the amazing trulli or the evocative coves. "il Viottolo" is in immediate sour of Noci, a lovely town strategically situated in the heart of Puglia, the ideal place to know better a part of Italy full of fascination. 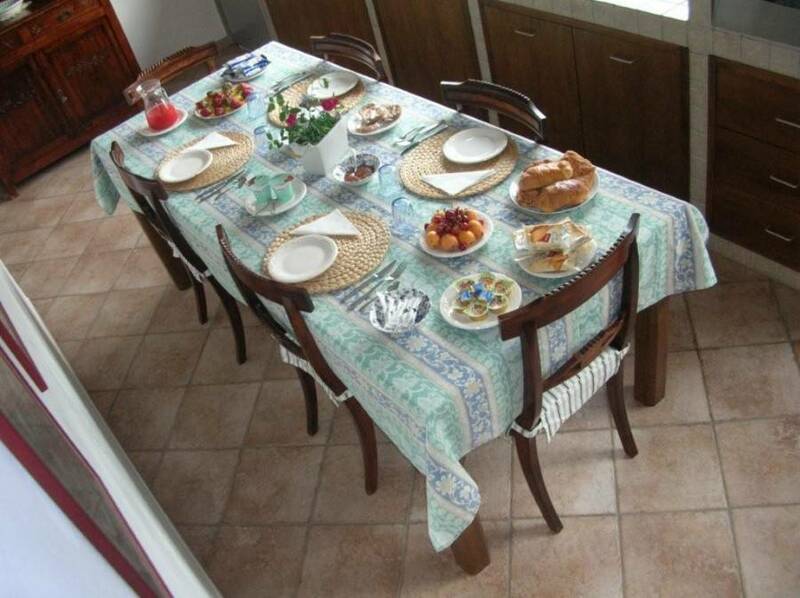 Bed and Breakfast "il Viottolo" can accommodate maximum 10 persons. Each room has its bath, is furnished according the tradition and made precious by unique pieces of antique dealing. NOCI: DEEP IN THE COVES, TRULLI AND SEA. Noci is a small town of about 20. 000 inhabitants standing on the hills just to half road between Bari and Taranto. Its architectonic features and its countryside are absolutely precious. The old town is characterized by white narrow alley and by the so-called gnostre, typical open spaces in front of the ancient houses. We can find also elegant palaces of the old nobility in which the typical stone of the Murgia meets the iron on the handicraft balconies and windows. Churches and masserie represent another peculiarity of the territory: as the rural church of Barsento, built up in the 591 d. c. or the Benedictine Abbey Madonna della Scala. Dipped in the typical Mediterranean landscape Noci is strategically far only 10 minutes from the trulli of Alberobello, 15 minutes from the Itria Valley, only 30 minutes from both the Ionian and the Adriatic Seas. It represents the ideal point to start a fantastic tour discovering tastes and traditions of the middle of Puglia. Noci is far only 45 minutes from new airport of Bari-Palese. From the airport you have to take the 843 road to Taranto until Gioia del Colle exit, therefore move towards Noci distant approximately 15 km. Far about 90 km, approximately 1 hour by car, there is the airport of Brindisi. From the airport you have to take the 16 road to Bari until Alberobello exit, therefore move towards Noci distant approximately 30 km. From Cosenza: Highway Salerno - Reggio Calabria to Salerno until Rossano exit, therefore the Ionic road 106 to Taranto, Palagiano exit.